The Pacific groundfish fishery harvests petrale sole, lingcod, a number of rockfish varieties and a whole host of other species. It has seen some bleak times over the years, pushed to the brink of collapse and declared a federal disaster in 2000 as a result of profound management failures. Dramatic increases in harvest limits announced for the fishery this week are another key milestone in a hard-won turnaround. The most significant changes to harvest specifications are for rebuilt stocks like bocaccio, darkblotched rockfish, and Pacific ocean perch as well as for stocks with improved assessments such as lingcod, California scorpionfish, and yelloweye rockfish. NOAA estimates that harvest level increases will create 900 new jobs and $60 million in additional income for West Coast communities in 2019 alone. 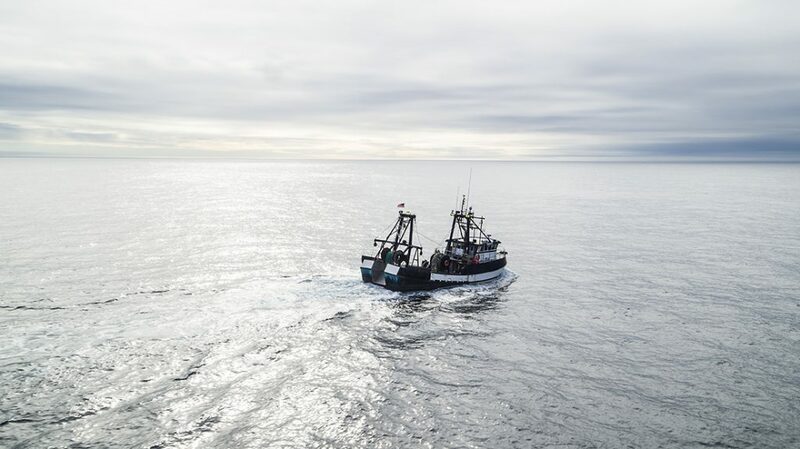 The groundfish fishery includes over 90 species of rockfish, flatfish, and other species like lingcod and sablefish, and has long been a vital component of the fishing industry in California, Oregon, and Washington. Groundfish are targeted by recreational fishermen in small boats (and even kayaks), as well as by 100-plus foot commercial trawlers and every type of vessel in between. Press coverage of this week’s announcement underscored its significance, but didn’t fully capture the scope of the efforts that have enabled the turnaround. Only through years of committed efforts by fishermen, conservationists, and other stakeholders has a deeply broken management system been overhauled and replaced with a new approach that aligns conservation incentives with business outcomes. It’s a story worth taking the time to understand, since it has produced one our generation’s most remarkable conservation success stories – and also because it contains some powerful lessons for how we can address the global overfishing crisis. Groundfish were harvested for millennia by coastal tribes in the Northwest, but commercial harvest began to increase significantly in the late 1940s. After the 1976 Magnuson-Stevens Act, which sought to boost domestic commercial fishing, harvest increased further, reaching its peak in the ‘80s and early ‘90s. But by the late 1990s and early 2000s, it was clear that a number of rockfish species had been severely depleted. Catch declined precipitously as the Pacific Fishery Management Council and the three Pacific states – initially in response to lawsuits – began to impose ever more stringent regulations to help stocks rebuild. Recreational fishermen were constrained by massive depth-based closures that effectively shut off a huge portion of the fishing grounds. They were also constrained by reduced bag limits, seasonal closures, and other limitations. Commercial fishermen were likewise constrained by area closures, gear restrictions, and decreased trip limits among other measures. The constant was scientifically based catch limits and strict rebuilding plans. The Council later employed more creative approaches, some developed through “exempted fishing permits”, in an effort to enable fishermen to more effectively target healthy species while avoiding sensitive stocks. One example of this is from 2011, where after years of painstaking negotiations, the Council introduced a new quota-based management system called catch shares to the trawl fishery, which accounts for more than 90% of groundfish catch. Primary objectives included reducing wasted “bycatch”, reducing overcapacity, and reducing catch rates for overfished species. In this new system, fishermen are individually accountable for their catch of quota species, and must stop fishing if they hit their limit for any one of the species unless they acquire quota from another fisherman. One hundred percent monitoring (in the form of human observers or electronic monitoring) guarantees compliance with quotas. This program – individual quota plus full accountability – has driven previously-unimaginable changes in the way fishermen operate. By incentivizing conservation, it has reduced bycatch by roughly 80% and ensured that trawl catch of overfished species remained well under the relevant catch limits. It has also spurred a variety of gear and behavior innovations that minimize catch of small and unmarketable species, avoid sensitive stocks, and reduce the costs of fishing. Some fishermen developed “risk pools” to reduce the likelihood of an individual being shut down by very low quotas for some rebuilding stocks. They agreed to pool their quota, and in exchange for access to the pool, developed a number of self-imposed rules for how, where, and when participants could fish. Others developed net modifications, employed test tows, and avoided certain areas to minimize catch of rebuilding stocks. Similarly, the recreational fishery pioneered a number of innovations to ensure compliance with catch limits while creating an opportunity to harvest healthy target stocks. One good example is the recently approved “Holloway gear”, which is designed to keep shrimp flies higher in the water column and out of the rocks to avoid sensitive stocks like yelloweye. Thanks in large part to these innovations– pioneered by fishermen in response to management incentives– and to strong science-based management generally by the Pacific Council, a number of formerly overfished rockfish species have been rebuilt, many of them years ahead of schedule. And as the fishery has recovered, fishermen have been able to sustainably harvest more groundfish, with landings in the bottom trawl sector increasing by a whopping 50% last year. Indeed, 2018 is likely to see the highest landings in the bottom trawl sector since the federal disaster declaration in 2000. This trend is now set to accelerate in 2019, with this week’s announced increases in harvest levels set to facilitate additional commercial landings and recreational trips in 2019 and beyond. This is precisely how good fishery management is supposed to work. Disciplined management, cooperation with industry, improved scientific understanding, collaboration among stakeholders, and a little help from Mother Nature have led to a dramatic rebound in populations. As a result, seafood consumers, the fishing industry, recreational fishermen, and our ocean ecosystem all benefit. Given the sensitivity of some of these stocks to overfishing, we need to keep a careful watch on this fishery. But, with the last two depleted Pacific rockfish species doing well – cowcod is poised to be rebuilt in 2019, and a revised rebuilding plan for yelloweye rockfish that suggests it will rebuild decades before initially predicted – the future for the fishery looks bright. This entry was posted in Domestic, Pacific, Science/Research, Seafood and tagged collaboration, gear innovation, Groundfish, innovation, Pacific Groundfish, rockfish, Trawl. Bookmark the permalink. Both comments and trackbacks are currently closed.